Glitter eyeshadow, black lipstick, extreme bronzer -- these are just a few makeup offenses committed by some major celebs. You need to see it to believe it. Drew Barrymore, Christina Aguilera, Ashley Olsen. These are some of the biggest names in Hollywood. They also made some very bad makeup choices. Surprising, huh? You’d think that celebrities would have no problem in the makeup department. They have access to the best stylists, the money to pay them, and an entire team of other people whose job depends on making them look good. So where did these celebs go wrong? Click here for the worst celebrity makeup looks ever. We have a couple of guesses: bronzer addiction (Paris Hilton, ahem), fake rebellious look (uh, Taylor Momsen), and makeup application while possibly intoxicated (Courtney Love, no brainer). They obviously didn’t check out these terrible makeup trends before they decided on their own looks. We do have an idea, though, and it could save these celebs tons of bad press at the next premiere. Next time, they should consult BeautyRiot.com. After all, we have a ton of makeup tips right here. We know they have smart phones, iPads, multiple computers, assistants with all of those things, assistants for those assistants. No excuse, celebs! 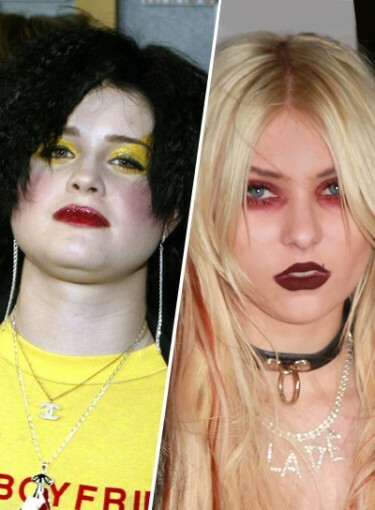 In the meantime, let’s check out the worst celebrity makeup looks EVER.